Etihad Regional will commence services on 29 March 2015. Note: There is significant and proven market potential for these services. 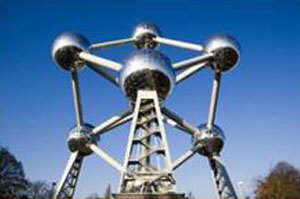 Please contact the Brussels Airport Aviation Development team for more information. 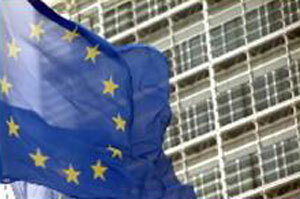 Brussels is the Capital of Europe; it is both politically and economically at the Heart of the European Union. 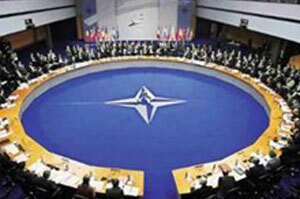 Brussels is where decisions are made. With 25 million passengers and 6% growth in 2017, Brussels Airport is one of the largest airports in Europe and the main airport in Belgium. Brussels Airport connects the capital of Europe to 218 destinations around the globe, served by 67 passenger airlines who operate from 3 non-congested runways. With an annual 536,000 tonnes of cargo, Brucargo, the air cargo hub, plays an important role in international logistics and in the success of specific industries including the pharmaceutical industry. With almost 20 million people living within one and a half hour’s drive, the airport has a wide catchment area including Belgium, the south of the Netherlands and the north-eastern part of France. Four out of five passengers are O&D, highlighting the strength of the Brussels Airport catchment. BRU will support any new scheduled route or additional scheduled frequency with an attractive incentive scheme to support start-ups. Based on the individual merits of the proposed route and route growth, Brussels Airport may look to offer additional backing. On top of this, hosts Brussels Airport other marketing initiatives such as newsletters, advertising, trade events etc… to strengthen the promotion of the route. With almost 20 million people living within one and a half hour’s drive, the airport has a wide catchment area including all of Belgium, but also incorporating the south part of the Netherlands and the north-eastern part of France. Four out of five passengers are O&D, highlighting the strength of the Brussels Airport catchment. 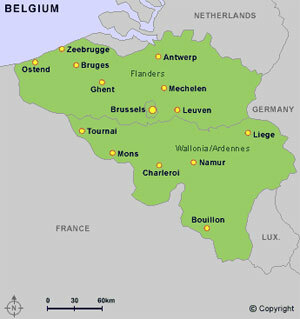 Belgium is very densely populated with 363 people/square kilometre. 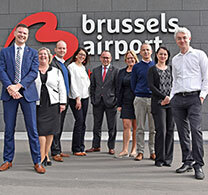 Passengers using Brussels Airport have a very broad profile, underpinned by high-yield business travel from political institutions such as the EU and NATO, and major multinationals based in and around the city and the wider catchment. The densely populated catchment, and in particular the large expatriate communities, also provide a significant leisure and VFR market. Over 1 million inhabitants of foreign origin live in Belgium embodying an incredible mix of languages and cultures. 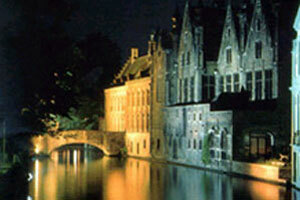 In addition, almost 400,000 Belgians live abroad. These people highly value a reliable connection with their home base. Brussels combines its role as the capital of Belgium, enhancing a headcount of 11.5 million inhabitants with the capital of Europe. 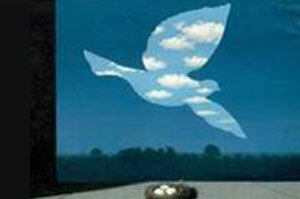 Thanks to its central location in Western Europe is the catchment about 20 million passengers. Brussels Airport catchments area is quite larger than Belgium. Some nine million people live across the border from which 4.1 million in the North of France and 4 million in the South of the Netherlands. 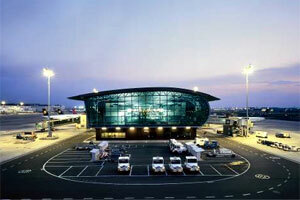 Brussels Airport is conveniently located 15 kilometres or 20 minutes from Brussels city centre. 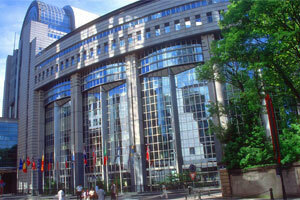 The heart of political decision making in Europe, the EU Quarter, is located between the airport and the city centre. A dense motorway network surrounds Brussels, and Brussels Airport is located right on the Ring road around Brussels, with easy connections to the main motorways crossing Belgium: E19 Amsterdam – Paris; E40 London – Cologne; E411 Brussels – Luxembourg. Ample car parking facilities are available, a short walk from the terminal building. The dedicated railway station underneath the Brussels Airport terminal. Six direct trains connect the airport with Brussels city centre, 2 trains an hour to the EU institutions, as well as 84 cities in Belgium can be reached by train from Brussels Airport. In addition, Brussels Airport is served by a dense network of high frequency local, regional and buses. Taxis are available to bring passengers to and from their destination. Runways: 07L/25R: 3,638 m, 07R/25L: 3,211 m, 02/20: 2,984 m.
Runway capacity: 74 movements per hour, 44 take off and 48 landings. With ambition to grow to 84 movements an hour by 2020. Stands: 110 of which 57 contact stands. Minimum Connecting Time: 50 min. In 2017, Brussels Airport revealed its Strategic Vision 2040 which supports a long-term development plan for the airport itself and for Belgium as a whole. Total passengers 2017: 25 million international passengers. About 18% of passengers made a connection at Brussels Airport in 2017. Freight: 536,000 tonnes of freight was flown through Brussels Airport in 2017. Largest carriers: Brussels Airlines, Ryanair, TUI fly, Lufthansa, Turkish Airlines. 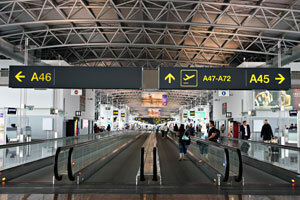 For details about airport charges and incentives, please contact the Brussels Airport Aviation Development team.